Several weeks ago I was the guest blogger on the prestigious destination wedding blog: Brides Without Borders, did you see it? The topic was the “Top 10 Myths About Getting Married in Iceland.” I encourage you to go and check it out… HERE. Other EPIC news as of late: Did you see the AWESOME redesign of our Iceland wedding photography site: Photos by Miss Ann? Beware there may be swooning ahead! 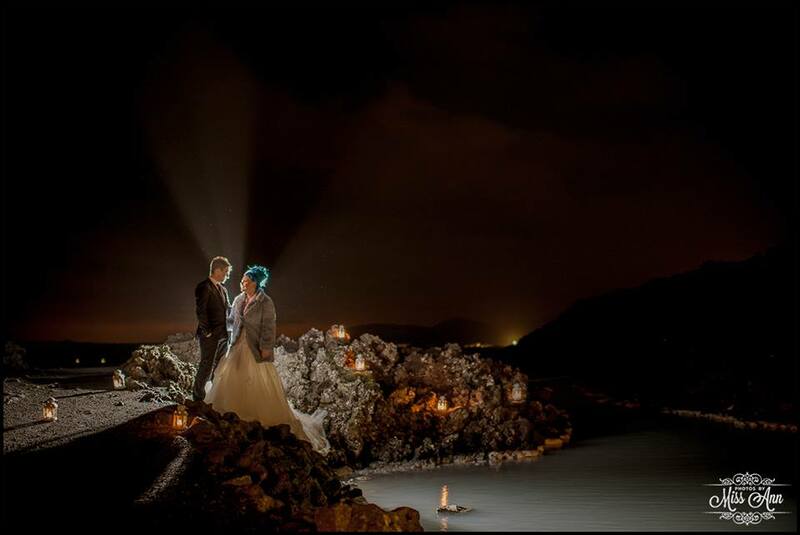 PS- SNEAK PEEK of the gorgeous Iceland wedding we just photographed (Totally taken at 1am at the Blue Lagoon – Nighttime wedding shoots are my fave)! Posted in Advice (Helpful Tips), Fall Weddings in Iceland, Iceland Elopements, Iceland Wedding Planning, Iceland Weddings with Guests, Press, Summer Weddings in Iceland, Winter Weddings in Iceland	| Tagged best time to marry in iceland, Brides Without Borders Iceland, Can I bring my own officiant to Iceland to marry me, destination wedding iceland, Elope in Iceland, Get married under the Northern Lights, Getting married in Iceland, How much does a wedding in Iceland cost?, How much is a wedding meal in Iceland, Iceland Destination Wedding, Iceland Fall Wedding, Iceland Northern Lights Weddings, iceland spring wedding, Iceland Summer Wedding, Iceland Volcano Wedding, Iceland Weather, iceland wedding advice, Iceland Wedding Budget, Iceland Wedding Dress, Iceland Wedding Planner, iceland wedding reception, Iceland Winter Wedding, Inside wedding location options Iceland, Myths about Greenland, Myths about Iceland, Nordic Destination Wedding Advice, Photos by Miss Ann, Wedding Planner Iceland, Will my wedding in Iceland be legal?